If you are ever in doubt of how you should pay for something in Chile, remember that cash is king. The official currency in Chile is the Chilean Peso and is accepted everywhere from taxis to small corner stores to large shopping malls. Chilean Pesos come in various denominations of bills or banknotes. When you exchange your foreign currency for Chilean Pesos, you’ll likely receive Pesos with large face values like $20,000 pesos (about $40 USD) or $10,000 ($20 USD) pesos. Try and ask for small bills ($1000, $2000, or $5000) at the exchange house as those will be easier to spend. 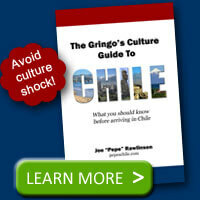 “Change” is called sencillo in Chile when referring to the cash you get back when you pay for your purchase. Don’t try to say cambio – the literal translation of change – as it doesn’t really make sense in this case. The likelihood that a vendor will have change for a large bill is often related to how large the vendor is. You’ll have no trouble spending a $20,000 peso bill at a sprawling shopping mall even if you are buying something for only a few hundred or thousand pesos. However, if you try to buy an empanada from a street vendor for a few hundred pesos and hand over a $20,000 peso bill, he might not have enough change to give you. Which Size Peso Bill Should I Use? Carry small bills to pay street vendors, small shops, and exact fares to taxi drivers. While they may have change, you don’t want to inconvenience them by requiring all of it just for your transaction. Pay with large bills when the price of your purchase is large or at big supermarkets, stores, restaurants, etc. Even if a vendor has change for your large bill, paying with smaller bills or a bill whose value is closer to the amount due shows your mastery of the local currency. Instead of blindly handing over a large bill, you should know how much things cost and how much change you should get back. Be prepared with small bills and you’ll be able to pay for purchases just like a local. 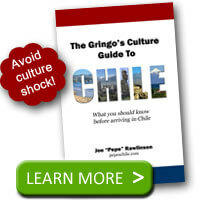 What has your experience been with large peso bills and paying for purchases in Chile? It should be noted that Redbancs (ATM’s in Chile) only give out 10,000 or 20,000 peso notes. (You do get a few 5,000s as well) There is normally a 2,500 peso transaction fee. I have found the exchange rate better than at the money exchanges. @John – thanks for the ATM tip! @Ted – a cheat sheet does come in handy. When the dollar is around $500 pesos, you can look at the price in CLP, drop the last 3 digits and multiply by 2 to get the rough dollar equivalent. Actual exchange rate today: $2000 CLP = $3.85 USD which is pretty close to the rough estimate above. I laughed when I saw the the subject line in my eMail, the exchange rate on the Peso being what it is. The advice was good and mostly common courtesy. I like to printout a cheatsheet for easy reference – http://www.oanda.com/currency/converter/ – really handy when you are dealing with paying thousands for everything!